Are you looking to overhaul your yard or commercial property? Do you want to beautify an outdoor space? Do you need your lawn trimmed, planted, and kept up with? Are you looking for Snow Removal? 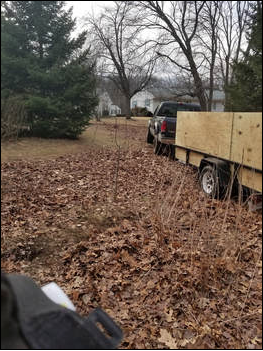 ​If you own or manage a property in or around Holyoke, MA, then you likely know how much time can go into the lawn care and property maintenance. If you’re like many people, then you don’t have the time, energy, or expertise to properly maintain that land yourself. That’s where we come in. ​Let us care for your property. Let us beautify it. Let us cut your grass, trim your hedges, maintain your trees, plant your bushes and flowers, and give you beautiful tree lines. Let us keep your property maintenance looking and feeling warm, lush, and inviting. ​Have you ever walked onto a property that was just perfectly manicured? That was trimmed to perfection? With lovely flowers in healthy-looking beds, with thick green grass trimmed exactly as it should be, with bushes, planters, and trees that defined the lines of the space artistically? If so, then you know how powerful good landscaping can be. ​Let us make your outdoor space one of those spaces. Let us make your home property the best on the block, and let us help your commercial property more inviting to clients and customers. and One FREE mowing service!! For many people, landscaping begins with the lawn itself. From the choice of grass used on a lawn to the fertilization of that lawn to the way in which the grass is cut (and the frequency with which it is cut), everything makes a difference. The goal? A lush, dense, well-manicured grass that is free of weeds and unwanted growth. This is in some ways the foundation on which the rest of your landscaping rests. Our landscapers know grass. From planting and treating to fertilization, from lawn mowing to trimming, from large spaces to small ones, we know how to make your grass healthy and beautiful. And that means that your yard will already be the envy of the neighborhood. ​There is an art to choosing the right kind of grass, and a science to knowing how to fertilize, treat and maintain the grass that is already there. If the wrong choices are made, then it is likely to end up with a yard that is uncomfortable to walk on, that grows too quickly or too slowly, or that has unwanted growth within it. This means grass that doesn’t look or feel its best. ​But our landscapers know how to make your lawn rich, dense, lush, and healthy. We know how to give you the kind of lawn you want to walk on barefoot. Have you ever wondered how it is possible for grass to be as perfect as the grass on a golf course? Well, a lot of work and thought goes into it, but it is possible for anyone’s lawn to be that picturesque. customer satisfaction is our #1 priority!!. Once your grass is healthy, only half of the battle has been won. There are still other things in your yard that need to be trimmed, maintained, and treated. Do you have hedges that have become overgrown? If so, then you aren’t alone. Do you have trees that need to be cleaned up and kept up with? Then you could use our hedge and tree trimming services. Trimming hedges, bushes, and trees is both a practical matter and an artistic endeavor. It is practical because it keeps things from being overgrown (and instigates good, healthy growth in the plant). In this way, it is something we do because if we do not then it can be hard to get around our yards, hard even to get in and out of our doors. But this is also an artistic process that required a good hand and a keen eye. Have you ever seen hedges that were trimmed so beautifully that it looked like someone had painted them on a canvass? That sort of thing doesn’t just happen by itself. It requires the work of a true professional. You can try your hand at it yourself, sure — perhaps you took some art classes in college and like to think of yourself as a creative person. But in the end, it takes the hand of a practiced professional to deliver the kind of results you are in need of. When it comes to keeping up with trees, there is a balance that needs to be struck. If you don’t keep them trimmed and healthy, then limbs are likely to fall off during storms, sometimes even damaging your property. Untrimmed trees also tend to be a little unsightly. On the other hand, if you prune a tree too much then it can easily detract from the natural beauty of the plant. Part of why we want trees on our property is that it looks natural, fusing the aesthetic beauty of nature with the artificial image of our homes and businesses. Have you seen limb removal services turn the trees along roads and in neighborhoods into ghosts of their former selves? Have you seen the way a landscape can go from lush to barren in a single day with some un-inspired tree-trimming? Our tree trimmers are artists — we know how to keep your land looking great while we keep your trees healthy and trimmed. We don’t think that you will hesitate to bring in true professionals to maintain your outdoor space. In the end, it is something you have to live with or work in every day, so it is worth making it beautiful. 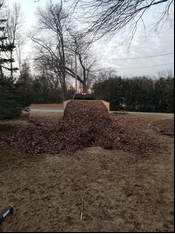 we all know every year we have no choice but to see the leaves fall on top of our lawn, thanks to our landscaping company you can feel stress free to know that you don't have to go thru the labor of picking all of it up, let us do the leaf removal work for you we have all the proper tools and equipment to provide you with, not only quality but also an affordable lawn care service!! we do this for a living and don't hesitate to jump right in! Time to let the plants grow and see them bloom lets get together this spring and make sure that your grass and garden grow healthy and beautiful!! copyrights © 2016 Onix Landscaping all rights reserved.